On the coast, 30km east of St Brieuc. 60km west of St Malo. I played this course with my son and we really enjoyed it, also, the staff were happy to speak English if we got stuck with language! Agree with the previous contributor that there are a number of average holes on the course and the first hole should probably be par 4 rather then 5 but on the whole the course was fun to play. Well worth a visit if holidaying in the area and some good deals on clubs and polo shirts in the clubhouse the day we were there! So overall we enjoyed it and hope to play it again next year! I used to be a real fan of this course, rating it way up there amongst my favourite courses in France but after having my car broken in to in the car park on one visit, I changed my mind. I eventually realised I was basing my opinion of the course on an incident that could have happened anywhere, so I have since played the course several more times and must admit that I am still in two minds about how to rate it. A lot of its plus points are, in all honesty, to do with its remarkable location on the cliff tops and in turn, its signature holes - 10/11/12 - bring all of this very close to the golfer and form a highly memorable impression. However, a lot of the rest of the course is... well... a bit average. That said, there are some interesting holes with blind tee shots, seriously raised greens, seriously long drops and lots of bunkers. 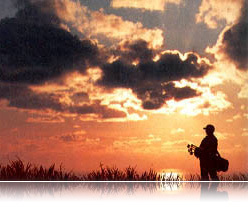 It certainly merits a visit and will be enjoyed by many golfers. Perhaps I have just played it too often, but for me, other courses in the area are just as good - for different reasons. Best played in late autumn after they have cut the rough down. Last time we played here, they had combine harvesters and tractors out on the course, making hay from the rough. Not the best environment to play golf in! The last comment was in 2006 .Is nobody enthusiastic to give a useful comment.???????????? This golf course is the best and most enjoyable course I have ever played. Perfect for small groups of mixed abilities this course has it all. 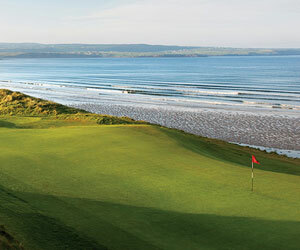 Spectacular views, fast true greens and every hole presents a different challenge, a links course second to none. If you are planning a golf break save this course to the end because you will ruin the enjoyment of the others, it's that good. On the 11th hole if you are not playing off the white tee's just take the time to go up and have a look, it takes your breathe away. For your total enjoyment I would recommend booking a buggy. this is a great little golf course. the greens are superb, true & quick! accuracy off the tees is a must as the rough is quite punishing. off the white/yellows there are only a few holes you can attack the course with the driver.very enjoyable. if your in the area i'd recommend playing this course.